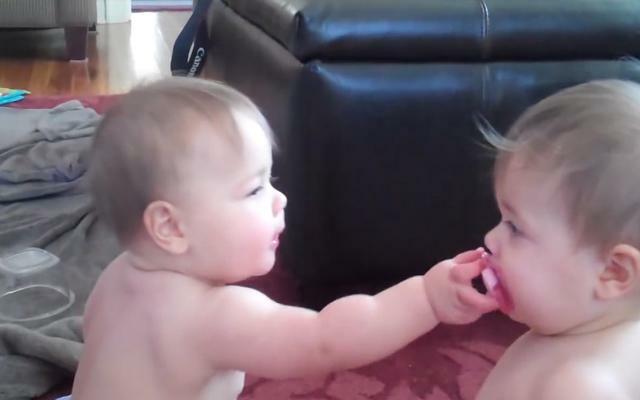 Two Cute Little Babies And One Pacifier. Cutest Thing I've Ever Seen. Did that make you SMILE? If it did, you should SHARE it with your friends. It'll brighten their day.